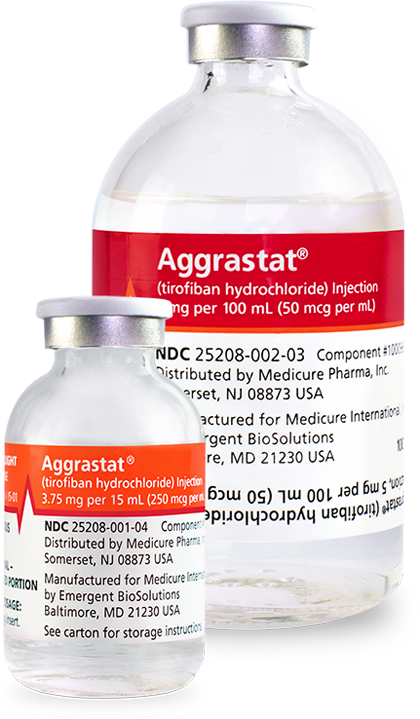 To determine the appropriate dose and units required for your patient, fill in patient weight, creatinine clearance, infusion length and the unit choice you will be using to administer Aggrastat®. Administer intravenously 25 mcg/kg within 5 minutes and then 0.15 mcg/kg/min for up to 18 hours. In patients with creatinine clearance (CrCl) ≤ 60 mL/min, give 25 mcg/kg bolus within 5 minutes followed by an infusion of 0.075 mcg/kg/min for up to 18 hours.